Figure 2 Targets and potential novel treatment strategies to attenuate microcirculatory reperfusion injury after whole-organ cold storage and transplantation. thermodiffusion analysis , near-infrared spectrometry, and orthogonal polarization spectral (OPS) imaging . The use of these techniques may further open the door for a more detailed understanding of the mechanisms of microcirculatory dysfunction in transplant patients, which may help in developing novel therapeutic strategies to ameliorate reperfusion injury, and, thus, improve outcome in transplantation surgery. 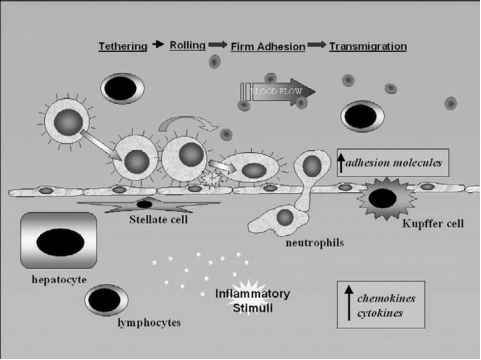 Inflammation: Reaction of the body to defend the tissue invasion of micro-organisms and foreign materials by activation of the proinflammatory mediator cascade and recruitment of immunocompetent cells, in particular polymorphonuclear leukocytes. 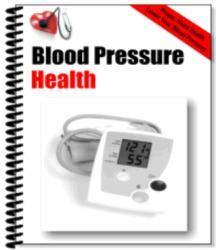 Microcirculation: The microcirculation is the blood flow through the finest vascular structures in the body, including terminal arterioles, nutritive capillaries and draining venules, which guarantees the oxygen supply to the tissue and the drainage of accumulated toxic substances. Organ transplantation: Organ transplantation represents the transfer of functional tissue from a donor to a recipient, which may be done between species as a xenograft or within the species as an allograft. Reperfusion injury: Although indispensably needed after complete arrest of blood flow, reperfusion exerts additional damage to tissue, termed reperfusion injury, involving both prolongation of hypoxia and induction of hyperinflammation. 1. Land, W. (2002). Postischemic reperfusion injury to allografts—a case for innate immunity? Eur. Surg. Res. 34, 160-169. 2. Menger, M. D., and Vollmar, B. (2000). Role of microcirculation in transplantation. Microcirculation 7, 291-306. 3. Yamauchi, J. I., Richter, S., Vollmar, B., Menger, M. D., and Minor, T. (2000). Warm preflush with streptokinase improves microvascular procurement and tissue integrity in liver graft retrieval from nonheart-beating donors. Transplantation 69, 1780-1784. This study showed for the first time in an experimental setup with in situ fluorescence microscopy that microvascular procurement of organs from nonheart-beating donors with UW solution is associated with marked perfusion deficits resulting in aggravation of organ injury. The novelty of the study is the use of streptokinase in a Ringer's lactate flush solution, which was effective in significantly reducing microvascular perfusion deficits and thus attenuating organ injury. Based on these original studies, the application of streptokinase in nonheart-beating donors was recently introduced in clinical practice. 4. Selzner, N., Rüdiger, H., Graf, R., and Clavien, P. A. (2003). Protective strategies against ischemic injury of the liver. Gastroenterology 125, 917-936. 5. Schemmer, P., Schoonhoven, R., Swenberg, J. A., Bunzendahl, H., and Thurman, R. G. (1998). Gentle in situ liver manipulation during organ harvest decreases survival after rat liver transplantation: Role of Kupffer cells. Transplantation 65, 1015-1020. This study demonstrated for the first time that manipulation of the donor organ markedly aggravates microcirculatory and parenchymal reperfusion injury after transplantation, and that this manipulation-mediated aggravation of reperfusion injury is mediated by Kupffer cells, because blockade of Kupffer cells blunted manifestation of this additional injury. For the clinical transplant surgeon these results are highly important, because it indicates the necessity of careful operation without manipulation of the tissue, in particular during the explant procedure. 6. Gao, W. S., Takei, Y., Marzi, I., Lindert, K. A., Caldwell-Kenkel, J. C., Currin, R. T., Tanaka, Y., Lemasters, J. J., and Thurman, R. G. (1991). Carolina rinse solution—a new strategy to increase survival time after orthotopic liver transplantation in the rat. Transplantation 52, 417-424. 7. Caldwell-Kenkel, J. C., Currin, R. T., Tanaka, Y., Thurman, R. G., and Lemasters, J. J. (1989). Reperfusion injury to endothelial cells following cold ischemic storage of rat livers. Hepatology 10, 292-299. This study demonstrated for the first time that in contrast to warm ischemia—reperfusion, the endothelial cell is a primary target of injury in cold ischemia—reperfusion. After 24 hours and 48 hours of cold storage virtually all parenchymal cells (liver) remained viable, while about 40 percent of the nonparenchymal cells were trypan positive, exhibiting cellular rounding, nuclear pyknosis, and protrusion into the sinusoidal lumen. Thus, this early study indicated a major role of microvascular endothelial cell injury in cold storage-transplantation-associated ischemia—reperfusion. 8. Witzigmann, H., Ludwig, S., Armann, B., Gabel, G., Teupser, D., Kratzsch, J., Pietsch, U. C., Tannapfel, A., Geissler, F., Hauss, J., and Uhlmann, D. (2003). Endothelin(A) receptor blockade reduces ischemia/reperfusion injury in pig pancreas transplantation. Ann. Surg. 238, 264-274. This study confirmed results of a number of other previous studies in that the blockade of the endothelin A receptor is effective in attenuating microcirculatory dysfunction after cold storage and transplantation. The study may be considered important because it nicely shows in a large-animal (porcine) model of pancreas transplantation that the attenuation of microcirculatory dysfunction of the transplant is associated with improvement of tissue oxygenation, reduction of parenchymal injury, and, as a consequence, prevention of transplant pancreatitis (which is a major cause of loss of pancreas grafts). 9. Klar, E., Kraus, T., Bredt, M., Osswald, B., Senninger, N., Herfarth, C., and Otto, G. (1996). First clinical realization of continuous monitoring of liver microcirculation after transplantation by thermodiffusion. 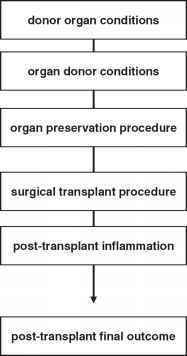 Transplantation Int. 9(Suppl 1), S140-S143. 10. Puhl, G., Schaser, K. D., Vollmar, B., Menger, M. D., and Settmacher, U. (2003). Noninvasive in vivo analysis of the human hepatic microcirculation using orthogonal polarization spectral imaging. Transplantation 75, 756-761. Dr. Menger is professor for experimental surgery at the University of Saarland and chairs the Institute for Clinical and Experimental Surgery. He was winner of the Bernhard von Langenbeck Award of the German Society for Surgery in 1993 and is an honorary member of the Society of University Surgeons, USA. His research focus is microcirculatory dysfunction in shock, sepsis, ischemia-reperfusion, and transplantation. His work is supported by grants from the Deutsche Forschungsgemeinschaft. Dr. Vollmar is professor for experimental surgery at the University of Rostock and chairs the Department of Experimental Surgery. Winner of the Otto-Goetze-Award of the Bavarian Society of Surgery in 1994 and the Calogero-Pagliarello-Award of the University of Saarland in 2000. Her research focus is microcirculatory dysfunction and mechanisms in shock, sepsis, ischemia-reperfusion, and microvascular thrombosis. Her work is supported by grants from the Deutsche Forschungsgemeinschaft.